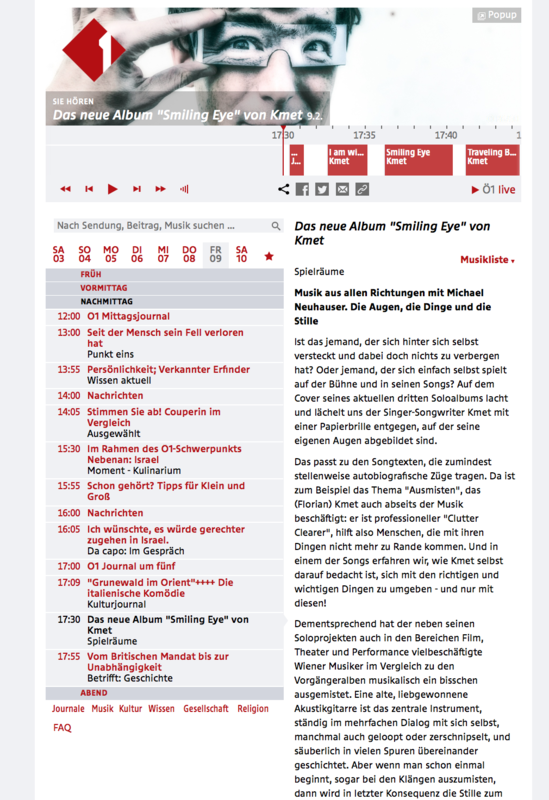 I am thrilled and honored – my favorite Radiostation Ö1 has dedicated a whole “Spielräume” Radio broadcast to my upcoming album “smiling eye”. Michael Neuhauser, one of my favorite radio journalists, has produced a very personal and intimate piece of Radio. Please take a few minutes and listen to his and my work.